Published April 4, 2016 at 1824 × 1207 in Portfolio. 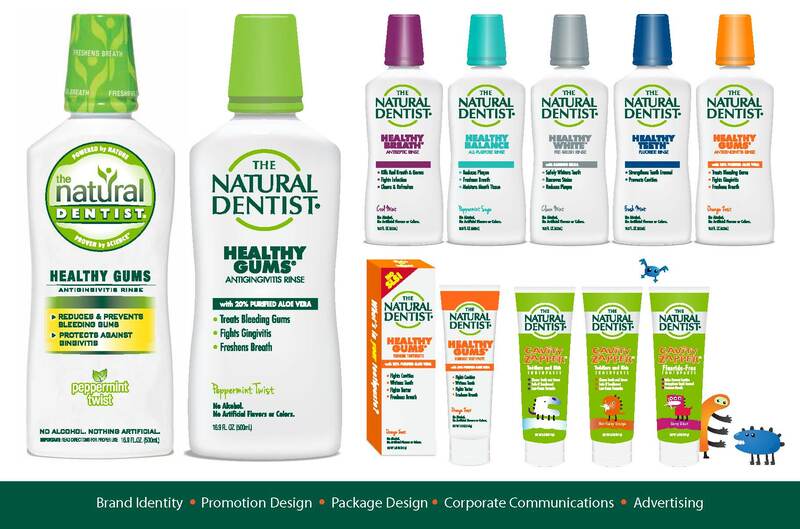 In a world of chemical health products, The Natural Dentist was one of the fi¬rst natural oral care product lines in the marketplace, but it was unknown to most consumers. They approached us asking for help getting noticed. We started by redesigning the branding and packaging to compete in a competitive market where the consumer is concerned about the ingredients in their products. We also highlighted the positive results The Natural Dentist has on oral care for those in cancer treatment. Within four years, The Natural Dentist became the standard for truly natural products that showed positive oral health improvements without the negative effects of chemicals.